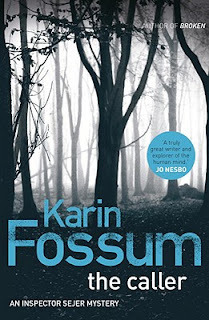 Karin Fossum is an author from Norway whom I’ve discovered only recently, so this is just the second of her books that I’ve come to read. The first one was Bad Intentions which I whole-heartily recommend to all crime fiction aficionados. The events of The Caller, in which the main protagonists are the usual suspects inspectors Sejer and Skarre, take place in a small provincial town in Norway. 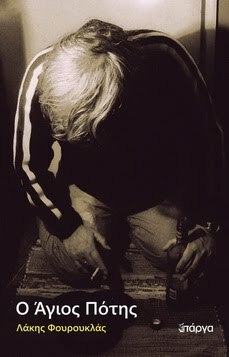 It all begins when somebody spills blood on a baby girl who sleeps in her pram beneath a tree in the yard, and thus gives the parents the scare of their lives, since at first they think that their kid is bleeding to death. Sejer is called to investigate the case, which at the beginning seems no more than an ill-humored prank. However at that very same night he receives a postcard with just a few words on it, according to which: Hell begins now. And it does, as during the next few days a series of unfortunate events, sometimes funny but mostly scary, will take place, which will spread a vale of terror over the town: A man will find his sheep dyed orange, a woman will read her obituary in the newspaper, and another one will receive a phone call which will make her rush to the hospital to visit her badly injured in a traffic accident daughter, who’s not there. As the incidents increase day by day and the people get all the more scared, inspectors Sejer and Skarre do their best to discover who’s behind these actions. However that will not prove so easy because, even though the perp seems to be a psychologically disturbed person, he’s also highly intelligent and able to function well under pressure. The closer they get to him the better Sejer will come to understand his way of thinking. However as the perp will feel the breath of the law on his back, he will not feel scared. Instead he will decide to move ahead with his plans; plans that will make his past actions look nothing more than child’s play. Once again the author puts too much weight on the inner world of her heroes; she describes their way of thinking and their troubled psyches, and thus delivers a book that can be read not only as a crime fiction novel but also as a sociological-psychological commentary.